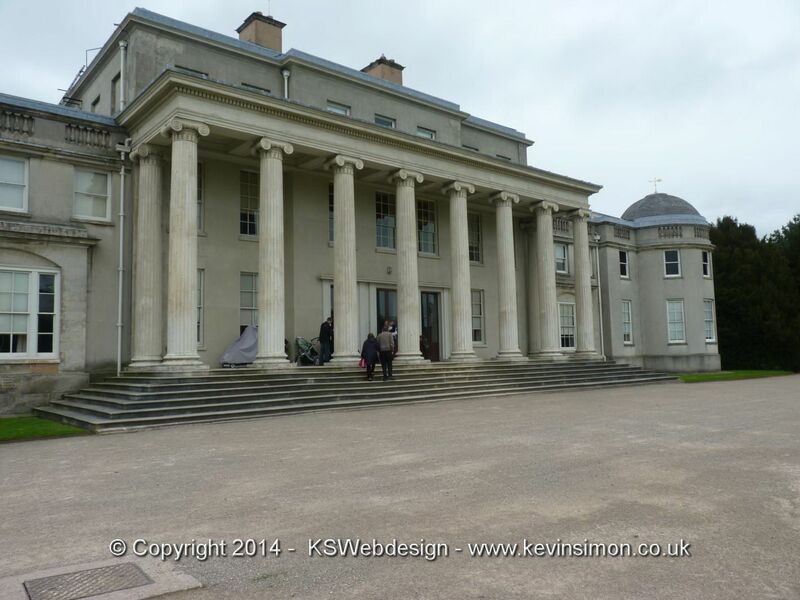 We recently went to Shugborough estate, as we are national trust members you get admission cheaper for the whole property even though is part a national trust property, this is because of a lease deal with the local authority. If you just want to go round the gardens and main house this is free for national trust members. Normal entry price is Adult: £15.00, Child: £9.00, Family (1 adult, 1 child): £19.00, Family: £37.50 you can have a guided tour of the house at a additional cost of £3.00, membership prices adult £7.50, child £4.50, family £19.00. Parking charge is £3.00. Getting into the main estate is just off the main A513 just down a little from Milford common (part of Cannock chase). It is a very long drive way though this gives you a perspective of the size of the whole estate. The car park is of a large size, so shouldn’t be any problems parking. Opposite the car park is the main ticket office and entrance, once you have paid you go through into the walled garden. Just outside of the garden are some craft workshops within the old shed buildings. There then is the Shugborough park farm which has all different farm animals, on this visit we didn’t visit the farm, but from our last visit it is very interesting and children will love it. There is the paddocks within the farm area, also by the farm is a great little children’s play area. Just behind the farm is the tower of the winds, which has had many uses over the years, you can go inside a have a look around this unusual building. To get to the main mansion house you can walk which would take about 10 minutes or there is a free land train shuttle bus. This goes every ten minutes it leaves from just by the farm and takes you just outside the servants quarters. Within the servants quarters there is the lady walk tea room, gift shop and ice cream stall. As you go through the servants quarters Inc the Victorian kitchen, washroom and laundry their are people dressed up in the period and will give demonstrations you can even get involved in some of these like using the old barrels to do laundry. Within the coach house are some lovely old horse drawn carts. There is also the museum with interactive galleries as well as the brewery. Once you get to the mansion you can wonder round this old building, again all the rooms are as they would have been through different periods of the history of the house. Including what was the apartment block where Lord Lichfield lived. In this part there are some great examples of his photography. It is really nice to look around as parts are really beautiful, some children may enjoy looking around some may get a bit bored, I’m not sure if there was a quiz sheet to keep children occupied, will find this out next time we go. Just outside the back of the mansion are the main gardens, in the summed these would look amazing as the arrangements of the plants,flowers and shrubbery are perfect. The gardens go down to the canal which has the ruins just by the edge of the one part, which really adds to the view. From here it is just a short walk to the Chinese house, shepherds monument and the arboretum. Though to toto this part you really do need the weather to fully enjoy it. This is the second visit we had to the Shugborough estate, on this visit the weather wasn’t perfect though it was dry the wind was making it cold, so on this visit we didn’t go on the walks around the estate. The last time we came was in mid summer so all the gardens looked beautiful and had a nice walk around the estate going to the cats monument, triumphal arch, tower of winds and the lovely Chinese house. As the Shugborough estate is very large it is a great family day out even if the weather isn’t perfect as their are loads to do inside. Though if you do visiting the summer when all the plant as flowering and the weather is good, do go fully around the estate and you will really enjoy the scenery and the walks. Their is something for all ages from young children to older people. We did really enjoy the visit and look forward to going again in the summer.